Whenever my sons and I travel to a new city, we always take a food tour (at this point, we’ve taken at least ten). It initially started because we wanted to try a famous food from a specific area, like beignets in New Orleans, BBQ in Austin, or a cheesesteak in Philadelphia, but we quickly discovered that taking a food tour is not only a great chance to taste regional specialties, it’s also the perfect way to learn about the city we’re visiting. Plus, since it’s a tour and a meal combined, it’s a vacation budgeting bonus – especially with teens. Tip #1: It may say “tastes” on the tour’s website, but in our experience, there is still usually a lot to eat, so it’s a good idea not to eat a full breakfast – or any breakfast – before a food tour. Also, don’t plan on a big meal afterwards. 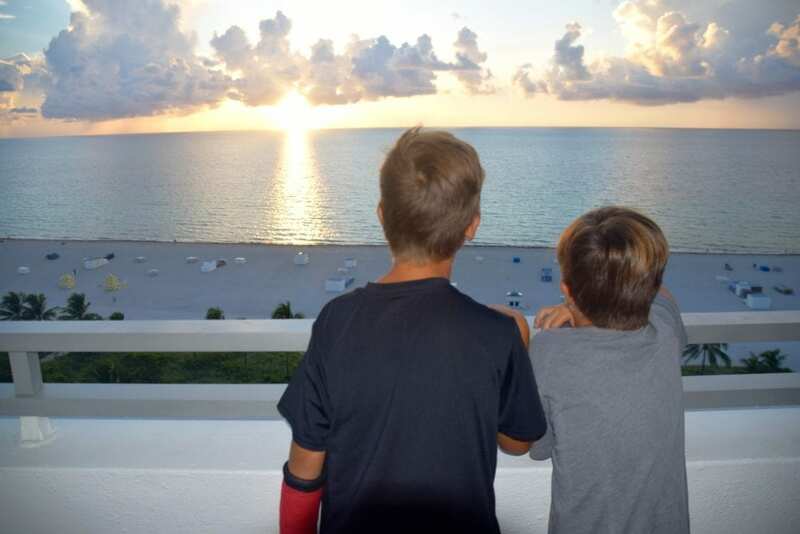 Tip #2: My teens happen to be foodies (in fact, they will eat literally anything), but for not-so-adventurous eaters, there’s always something delicious they’ll like – and best-case scenario, picky kids might be willing to try something new (at least a bite). Austin is known for its food trucks and there are about 2,000 of them that serve any kind of food you can think of, but unless you’re a local, you might not know where to find them. That’s why Austin Eats comes in. Started by Andy and Lindsey Potter after they took a food tour on their own vacation in California, they quickly realized that they could provide the same service to visitors in their hometown. “We want guests to experience authentic Austin,” Andy says “[so we] focus largely on local.” With that in mind, Austin Eats Best of Austin Food Truck Tour gives visitors a chance to experience some of the items that makes the city’s food scene so unique. 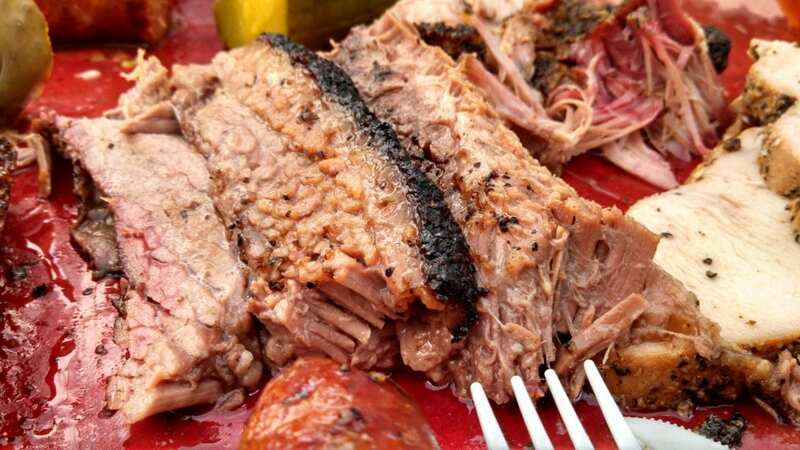 If you ask who has the best barbecue in Austin, you will probably get one of two answers: Franklin’s or La Barbecue. While the wait at Franklin’s can be upwards of four hours, La Barbecue fans can expect to cut that time in half. But here’s the best news of all: guests on the Austin Eats Food Truck Tour don’t have to wait at all. My sons’ favorite part of the tour was definitely walking straight to a reserved picnic table at La Barbecue – and past the long line of people waiting to get their barbecue fix. 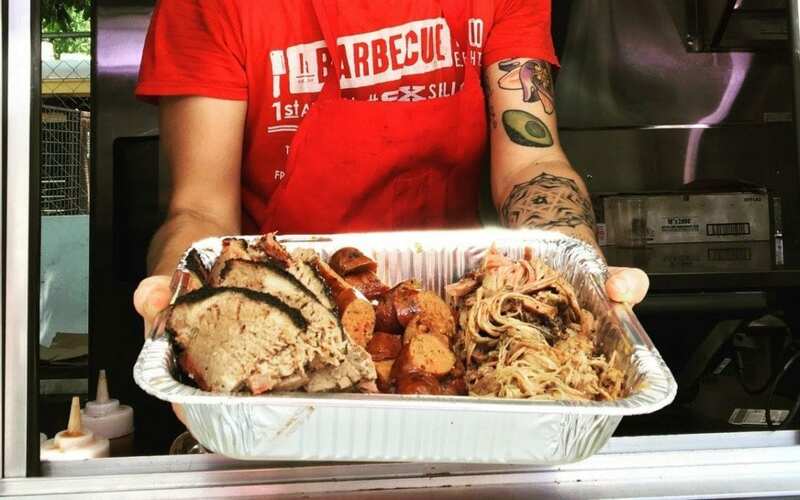 Every single thing we tried at La Barbecue was delicious, from the brisket (cooked “low and slow” for twelve to fifteen hours), the sausage (that has a bit of a kick), the chipotle coleslaw (that has even more of a kick), and even the classic potato salad. It immediately made much more sense why people are willing to wait so long for it, but we were still grateful that we didn’t have to. 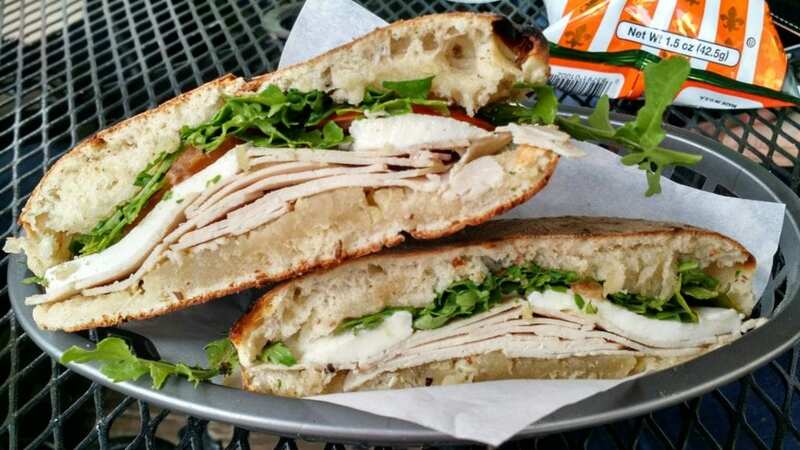 We’d never heard of a wood-fired Italian sandwich called puccia (pronounced POO-CHAH), but we learned they can only be found at Lucky’s in Austin. That’s because Lucky learned how to make puccia in Southern Italy and brought the generations-old recipe with him when he came to Austin. According to Lucky, anyone who serves Italian food should only use fresh and authentic ingredients like Extra Virgin Olive Oil (which according to him means the olives never touch the soil). It also means that he never puts the dough into the wood-fired oven until a puccia is ordered. Our amazingly fresh and authentic wood-fired Lucky’s Puccia was filled with prosciutto, mozzarella, tomato, and arugula with chipotle aioli. “If you have a good experience and go home feeling energized by my food,” Lucky says “you will come back.” And we will. No trip to Boston is complete without checking out the Freedom Trail. 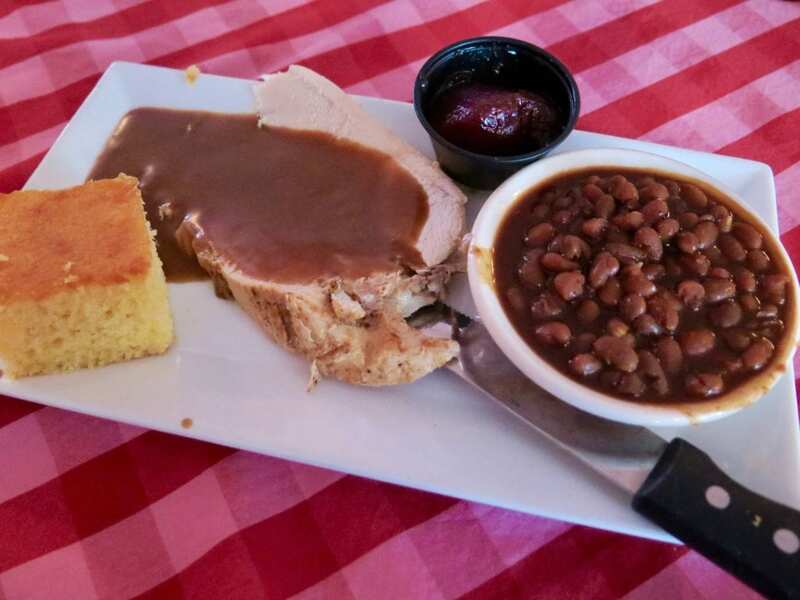 There are definitely great tours of the 16 historic sites that make up the 2.5-mile route, but why take a regular tour when Yummy Walks Foods of the Freedom Trail Tour combines history with delicious New England foods? We certainly couldn’t think of a reason. As we worked our way through 13 of the 16 Freedom Trail sites, our guide taught us about Boston’s culinary history along with American history. 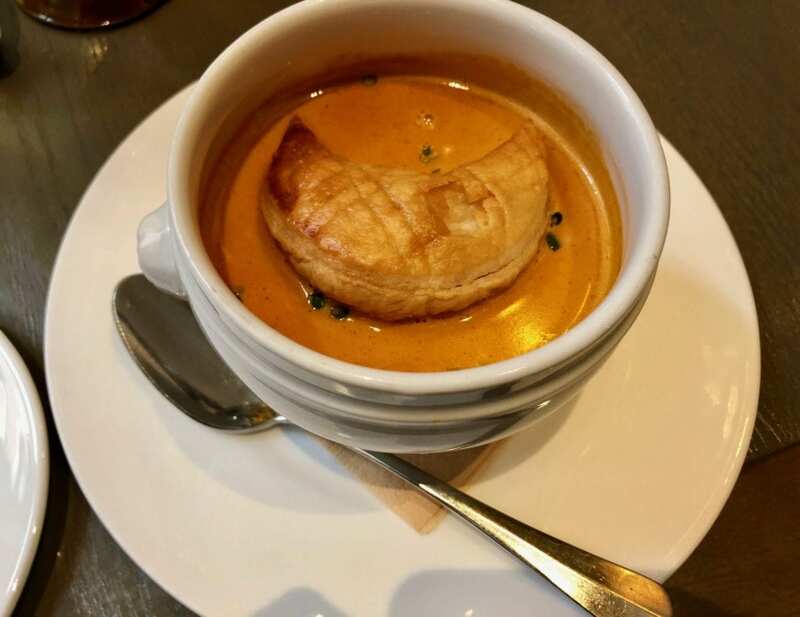 We had a bowl of lobster bisque, which represented colonial times when lobster was so overabundant that giving it to prisoners more than three times a week was considered cruel and unusual punishment. 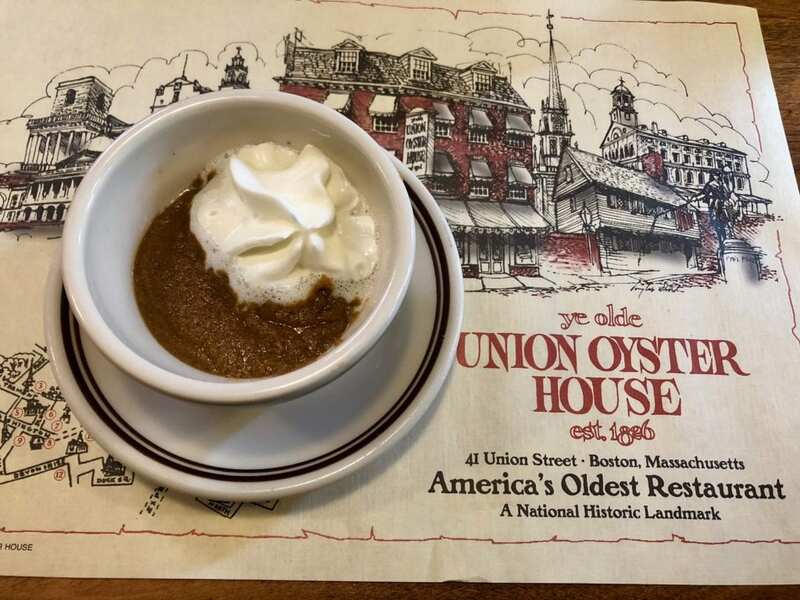 and we tried Indian Pudding that’s based on British Hasty Pudding but with corn meal – or Indian meal – instead of wheat flour at The Union Oyster House, which is located in the building that once housed a pre-Revolutionary War newspaper called The Massachusetts Spy, and where JFK was a regular (his table upstairs is called the Kennedy table). This tour features Chicago specialties like deep-dish pizza and Italian beef sandwiches, and it’s also probably the family-friendliest food tour we ever experienced because all the foods were kid pleasers. “The concept [of Tastebud Tours] was a 3-hour adventure to introduce people to Chicago through its foods, so we treat people to the quintessential foods of Chicago [from] the places where they originated,” says Lynn F. Jaynes, founder and CEO of Tastebud Tours. The tour starts with Chicago deep-dish pizza because, as our guide Annalynn Keller explained, “You gotta have deep-dish when you come to Chicago.” This was definitely the reason we took the tour in the first place, so we were very happy to start the tour with a “pizza breakfast” at Pizano’s. 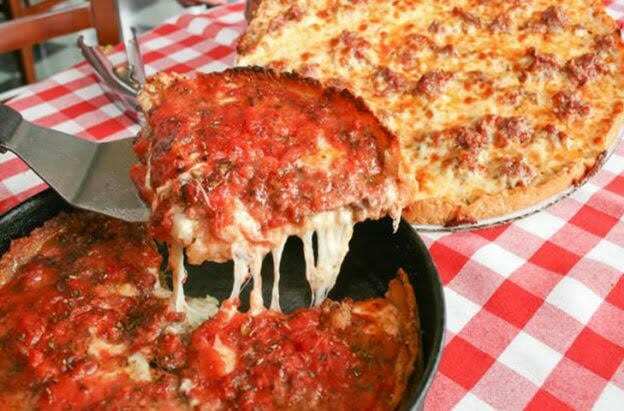 We learned that the owner of Chicago’s Pizzeria Uno and his chef Rudy Malnati invented deep-dish pizza in 1943, and one of Rudy’s sons eventually opened Pizano’s. His crust recipe is more like piecrust than a regular pizza crust and the homemade sausage and sauce were so delicious that, to this day, we always keep Pizano’s deep-dish pizzas in our freezer. Another teen-friendly food item on the tour was Italian beef sandwiches, which is just meat and bread (literally two of the teen basic food groups). Annalynn explained that Italian immigrants created the sandwiches – which are unique to Chicago’s food scene – in the late 1800’s and that Al’s was the first shop in Chicago to serve them to the public in 1938. The tender sliced beef on fresh soft rolls comes with a choice of roasted sweet bell peppers or spicy house-made giardiniera (a mix of hot peppers and vegetables), but veg haters can obviously opt out. After our sandwiches, we stopped at the Chicago Cultural Center to take a peek at the largest Louis Comfort Tiffany glass domed ceiling ever constructed, which is made of 30,000 pieces of hand-made glass and worth a cool $37 million. Then, we headed to the tour’s last stop: A German-style restaurant called The Berghoff, which is the second oldest restaurant in Chicago. The Berghoff brothers originally owned a brewery, but when prohibition hit, they switched to root beer, which the restaurant still brews. 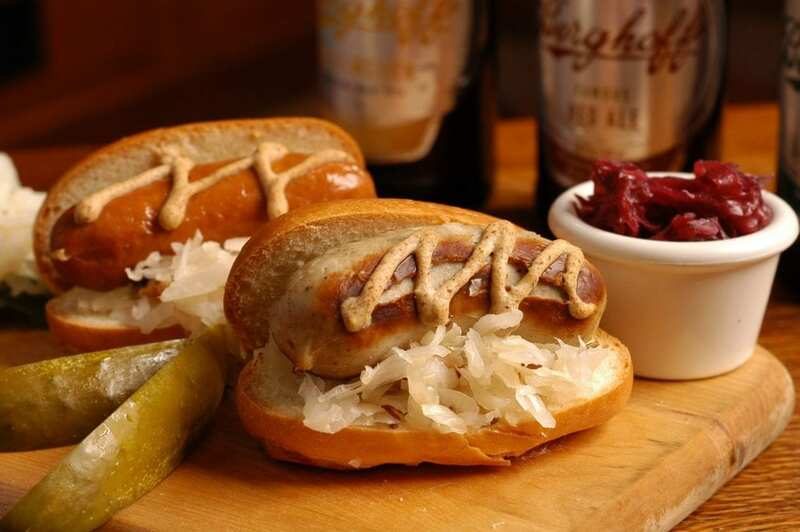 We tried their root beer with amazing – and perfectly kid-sized – mini bratwurst sausages. By the time we were done, we had tasted some of Chicago’s iconic foods, had learned a lot about the city, and were thankful we hadn’t made any dinner plans. Nearly every city has a food tour of some kind, so you’re bound to find a great one anywhere you go. On any food tour, there are really only two things to remember: Bring your appetite and be willing to try something new (at least a bite). One of the reasons I love traveling is food! Its an amazing experience when you get to taste local cuisines.